In today’s climate, more than ever we need to protect our employees from unlawful and unfair treatment, and eliminate the risk of expensive and disruptive workplace disputes. The best investment and insurance policy is to educate your employees and supervisors, on at least an annual basis, on the best practices for a safe and comfortable workplace. Handle this all in an easy and painless one-hour process than can save hundreds of thousands of dollars! Professor David Fish brings more than 20 years of employment law experience to educating and protecting your business from potentially devastating lawsuits and liability. Professor David M. Fish brings to Commodore Partners more than twenty years of experience in advising businesses and employees about best practices in the workplace for a safe and litigation-free workplace. Prof. Fish was born in New York City, and is a graduate of the Bronx High School of Science, and the State University of New York at Albany (B.A., Criminal Justice), where he was a four-year letterman on the University’s wrestling team and a 1992 University Greco-Roman Wrestling All-American. Prof. Fish received his J.D. from New York Law School, where he led the Moot Court Association to several national victories. 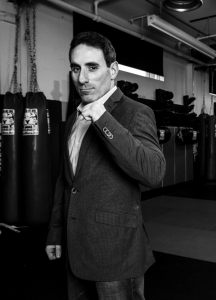 Today, in addition to his active litigation and trial practice focusing on employment law and other workplace and commercial issues, and mixed martial arts representation and management agency, Prof. Fish completed his 14th year as an adjunct professor of law at New York Law School, where he is the faculty advisor to the Sports Law Society. He is a Past Chair of the Employment Rights Section of the American Association for Justice, Co-Chair of the New York State Bar Association Labor & Employment Law Section’s EEO Committee, a past National Employment Lawyers Association/New York Chapter (NELA/NY) Executive Board member, and was editor of the NELA/NY Employee Advocate newsletter. Prof. Fish trained federal court mediators on employment law and employment law litigation at The Hon. Charles L. Brieant Jr. Federal Building and Courthouse in White Plains, New York. Prof. Fish was an Honoree at the 2013-2014 Unemployment Action Center Fundraising Dinner for achievements in the labor and employment law industry. In both 2007 and 2002, he was honored by “Parents for Megan’s Law” for his efforts and advocacy on behalf of child victims of sexual abuse. Among Prof. Fish’s hobbies are jiu jitsu, kickboxing, and playing with his three daughters. He holds a Black Belt in Tiger Schulmann’s Mixed Martial Arts. He competed in the 2004 and 2005 New York City Golden Gloves.